A video for electric traction fans. Not entirely, for steam was seen occasionally on the route especially west of Dinting, But this is the story of ·the 1500v dc system across the Pennines from Sheffield to Manchester. Filmed mainly in the 1960s, you will see the EM1s and EM2s as they were in their green livery as much as they were in blue towards the end. Passenger services are there throughout the route. 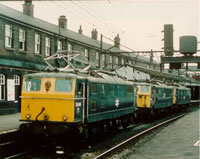 Class 506 units are seen on the Glossop service and there is coverage of the EM2 class in Holland. All told a pretty comprehensive film of this period of electrification on an ex-LNER line. One day it may reopen again although not at 1500v dc! A study of the unique mainline DC electric route connecting Manchester and Sheffield. 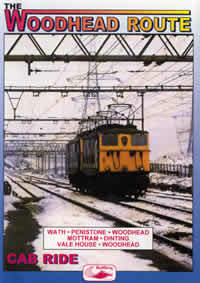 The 40 mile route penetrated the Pennine barrier at Woodhead, before descending to Manchester and was Britains first main line to use overhead electric power when opened in 1954. 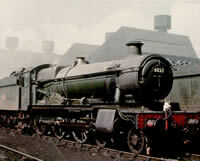 Primary motive power was the1500V D.C. EM1 (Class76) and EM2 (Class 77) electric locomotives. The EM2s were sold to the Netherlands Rlys, but the CL 76 continued until the lines closure in 1981. 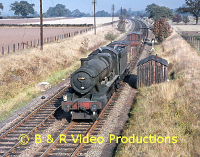 Scenes at Sheffield (Victoria), Rotherwood, Wath, Worsborough Bank, Penistone, Dunford Bridge, Woodhead, Torside, Guide Bridge, Manchester (Piccadilly) and other locations were recorded -some with original sound - between 1954 and 1984 and provide a fascinating reminder of this magnificent route. 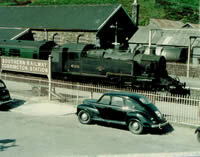 A cab ride over the famous and long closed Woodhead Route. 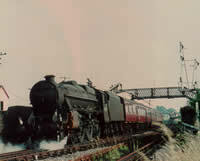 Ride the cab from Wath Yard over the freight only route to Pennistone including the fearsome Worsborough Incline. Continue on in the cab through the Woodhead Tunnel to Woodhead platform. Ride with the driver from Mottram No.2 Box to Dinting and on from Vale House, Torside & Crowden, entering the tunnel from the West. 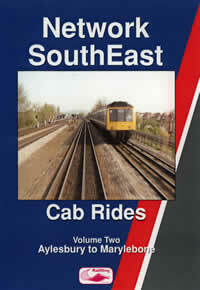 This is a series of cab rides filmed in the early 1990s prior to privatisation when the red, white and blue colours of Network SouthEast predominated. 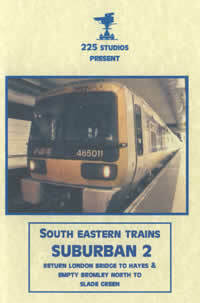 This second programme features the Aylesbury to Marylebone line before its total modernisation. 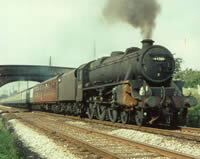 We head for London on the Metropolitan/Great Central Joint line via Stoke Mandeville, Wendover and Great Missenden. The appearance of a centre siding for the reversal of Metropolitan line EMUs and the appearance of the conductor rails confirms we are now running on London Underground metals, with the Undergrounds own signalling. Onwards through Chalfont & Latimer, Chorley Wood and Rickmansworth, through Moor Park, Northwood Hills and North Harrow we proceed towards the capital, entering Marylebone after a brief halt outside St Johns Wood Tunnel.